VatorNews | Zynga IPO filing imminent, valued at $20 billion? Zynga IPO filing imminent, valued at $20 billion? 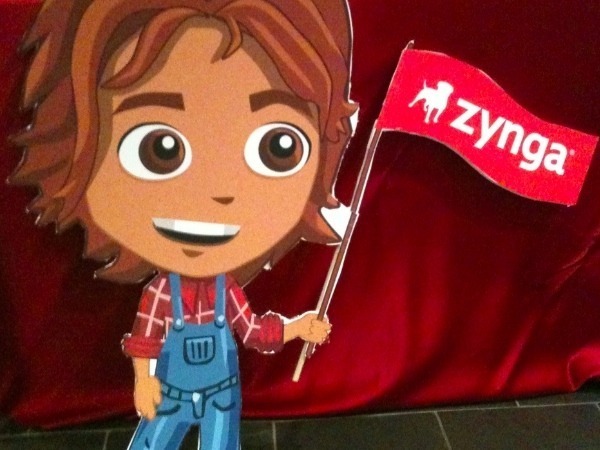 A month ago, sources claimed that Zynga was on the verge of finally filing to go public. Today might be the day. The IPO, according to CNBC reporter Kate Kelly, could value the social gaming behemoth between $15 and $20 billion. Morgan Stanley, which managed recent social media offerings from both Renren and LinkedIn, is reported to be leading as underwriter for this deal as well. Goldman Sachs and Bank of America would also participate. Little remains left in the way of the IPO, as the Securities and Exchange Commission has granted Zynga approval to ignore rules that traditionally require a private company to report financial data after conferring restricted stock to over 500 shareholders. The company, like Facebook and Google before it, has set up a dual stock structure, reserving Class A common stock for employees and early investors. Since the SEC has no problem with this, there's no trouble in the way of Zynga's filing. Zynga has declined to comment on the story. When Zynga raised money earlier this year, it was valued at $10 billion, so this deal would likely be capitalizing on the social media-happy public markets to boost that valuation by between $5 and $10 billion. While we won’t know for sure until we see the S-1, Kelly reports that Zynga is indeed profitable. If any developer based on the Facebook platform has found profitability, it's Zynga. The undisputed king of social gaming is responsible for the top four applications on Facebook: CityVille, Empires & Allies, FarmVille and Texas HoldEm Poker. 'Empires,' Zynga's newest game for Facebook, just launched at the beginning of June and has since rocketed to second place, with 42.2 million active users, according to AppData. Since the game had accumulated 10 million users by its tenth day, it looks like growth is still as strong as ever, if not stronger, so it'd be a bit premature and a little silly to call social gaming a fad. Zynga just keeps churning out the hits. Zynga is currently backed by an all-star list of investors, including LinkedIn co-founder Reid Hoffman, Union Square Ventures, PayPal co-founder Peter Thiel, Kleiner Perkins Caufield & Byers, Andreessen Horowitz, Institutional Venture Partners (IVP), Tiger Global, Digital Sky Technologies (DST), Digg co-founder Kevin Rose, SoftBank, Google and more. When the company finally goes public, we’ll be sure to report on the biggest winners in the deal. The list will be long.